Hello guys! Sorry for not posting much lately, I've had some self issues and emotional breakdowns as every person does, so I felt less inspired to do something on my blog. I promise I'll post more from now and I sincerely look forward to autumn this year, I mean each year! Sweater weather and loads of tea. I just can't wait. 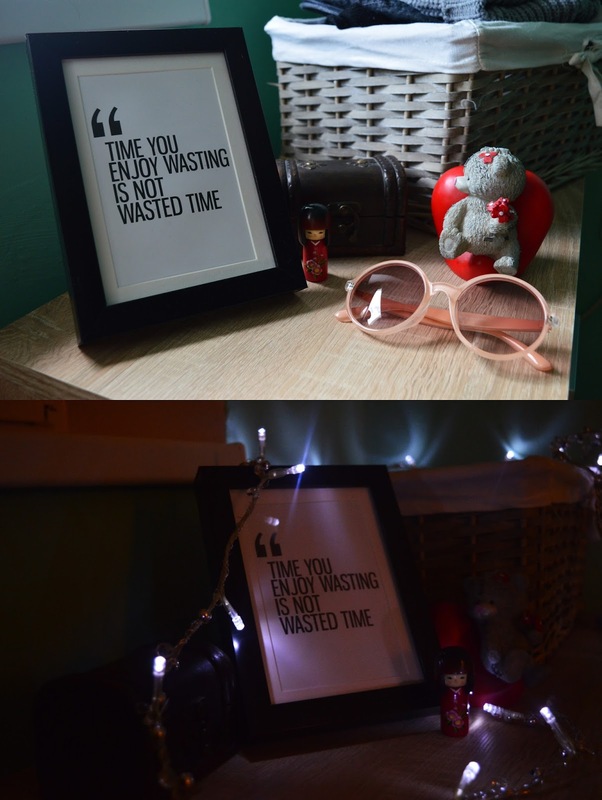 So okay this blog post is dedicated to my new room and it's not done yet, I need to put more pictures on walls and of course shelves! Also I need more this cute led lights. This room for me feels like not only bedroom but my office also and I can't wait rainy days so I can chill here till I die, haha. I'll post new review of my room for a few months when I finish with decorating it, but I think I'll never finish with decorating because I always add something new.